JENerally Speaking: It's A Celebration! GASP! I'm in love..the color scheme, the layout, the multiple twine colors...are you allowed to case a case because I definitely want to recreate this! i love the twine ... so pleased you didn't have any ribbon because the twine is so cool! 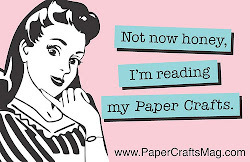 a whole day to craft? that's awesome can't wait to see all the creations :) enjoy your day jen! OOoooo...love this!! Sucha great job using the colors and CASEing a formeer queen. 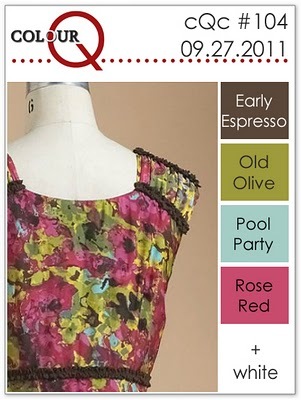 Thanks so much for playing along this week and celebrating the ColourQ's birthday! Yes the stamps on my masculine card are Woodware but can't remember the set name. You truly are having a happy World card making day! Absolutely perfect. I love the layers and the glossy accents are divine. I am never patient enough for it to dry! And I love the twine! Happy crafting! Yep, now I need those stars. For sure. Yep, I do. Great card, I love your color choices. This is fantastic. I love that final touch of multiple twines! This is so pretty in this colour scheme! Wow! Wow! You did an excellent job! I love the colors! The twine bow is the perfect touch! Wonderful card, Jen! Glad you enjoyed WCMD. Thanks for joining us for the two year anniversary at the ColourQ. Ooh this is just lovely! Love the way you've used those colours, the different stars look FAB! What a great card! Love how you used the colors from the challenge and the stars are just perfect. TFS. Oh my gosh, how crisp and stunning. A winner, for sure. Seriously love your card! The colors, the design, the twine...looks like a winner to me! Awesome card, Jen! FABULOUS IS WHAT YOUR CARD IS! Love what you did with the first color combo but both cards are great. The twine is the perfect touch. Thank you so much for sharing it with us at 4 Crafty Chicks. Awesome card! What a fun layout and I love how you used the colors! Thanks for playing with us at the CQC! OMGOSH, Jen! What WOW factor your card has - love it! Thanks for joining us at 4 Crafty Chicks! Thankyou so much for your gorgeous entry for this weeks Simon Says Stamp Challenge and for helping us get over 1000 entires ......good luck!!! !